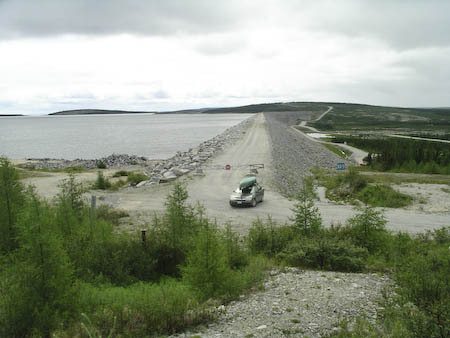 Photo by Lester Kovac The main dam, looking back west. 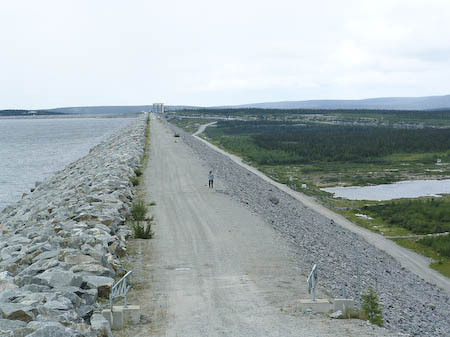 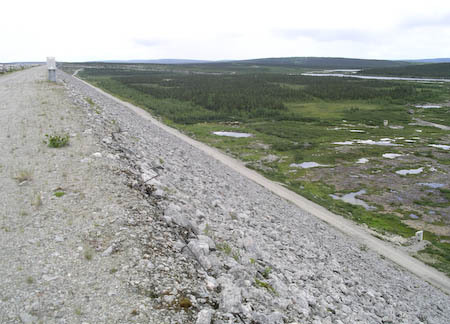 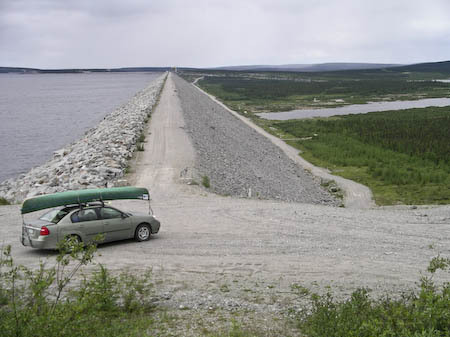 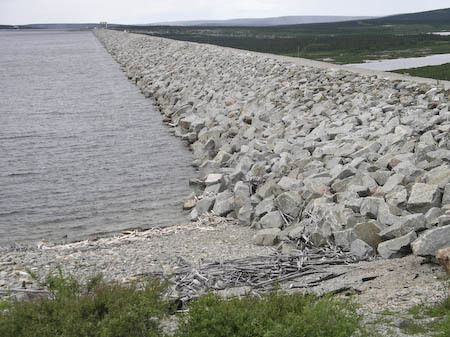 Photo by Lester Kovac This is the main Caniapiscau reservoir dam, looking east. 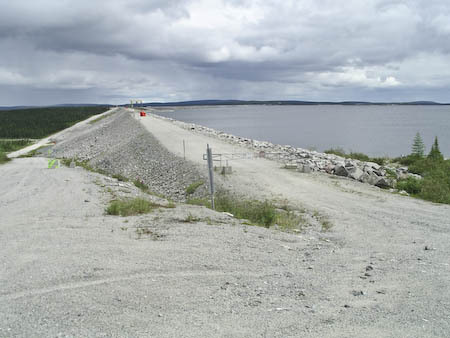 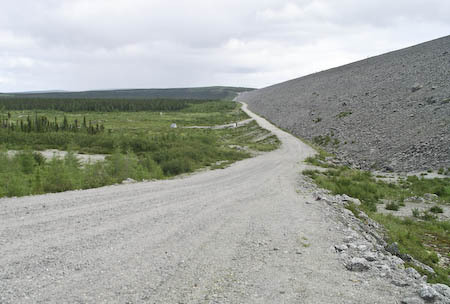 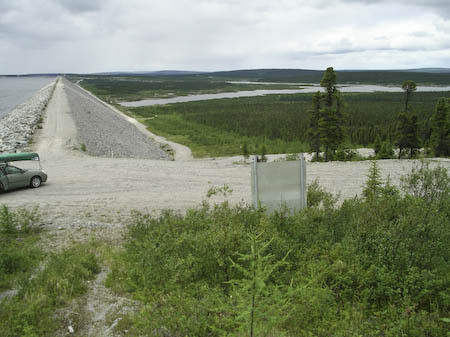 Here the Caniapiscau River has been blocked and its flow diverted west to the LaGrande River. 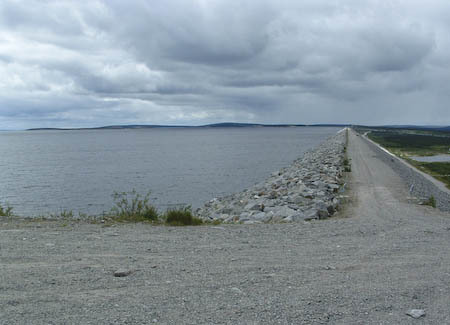 Photo by Lester Kovac The dam from the east side looking west. 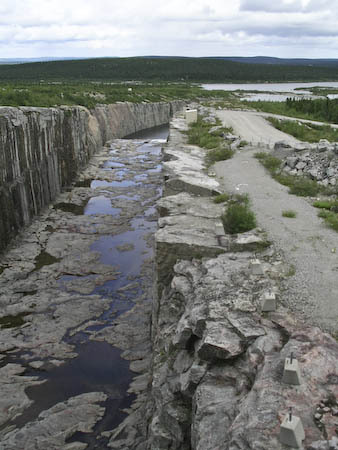 Photo by Lester Kovac Below the dam.